Pics or it didn’t happen. 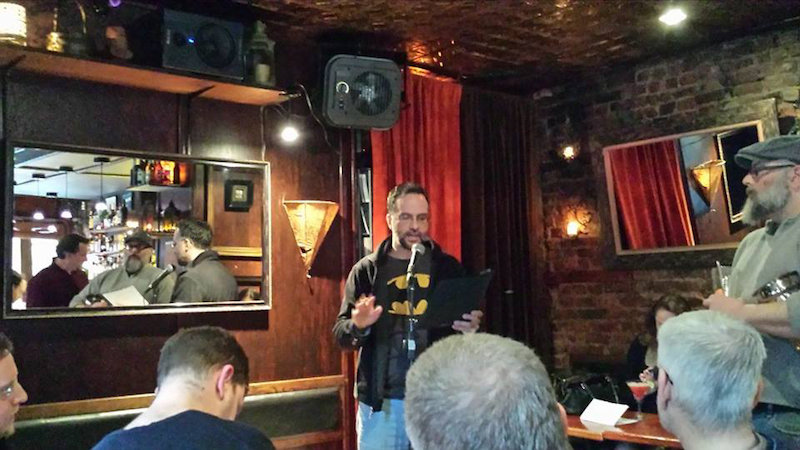 On Sunday, March 23, I reading at the next New York Noir @ the Bar at Shade Bar, organized by the majestic Todd Robinson and gonzo Glenn G. Gray. A great time, a talented group of readers, a really great crowd. 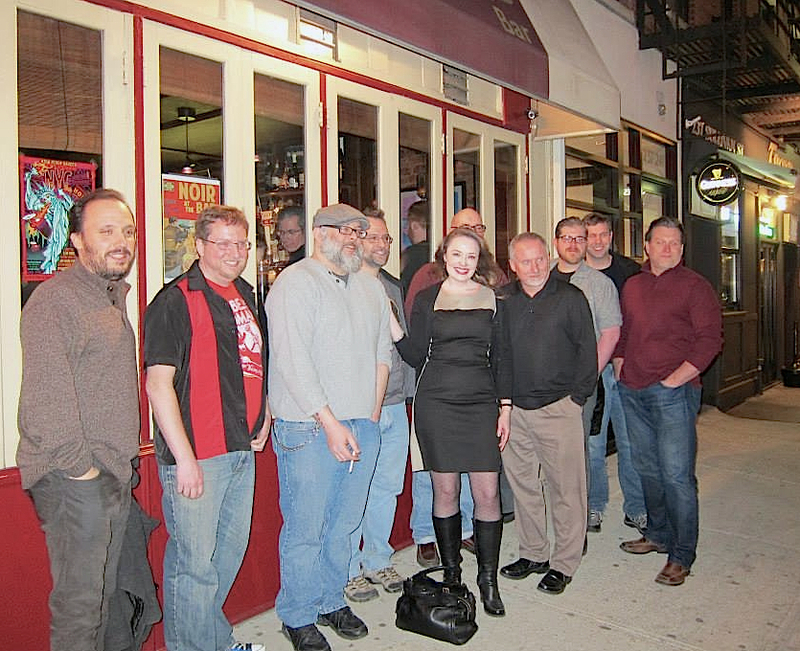 L to R: Alex Segura, Bryon Quertermous, person in window photobombing, Todd Robinson, moi, Hilary Davidson, Terrence McCauley (partially hidden), Tim O’Mara, Rob Hart, Dave White, Glenn Gray. Photo courtesy of Rita McCauley. 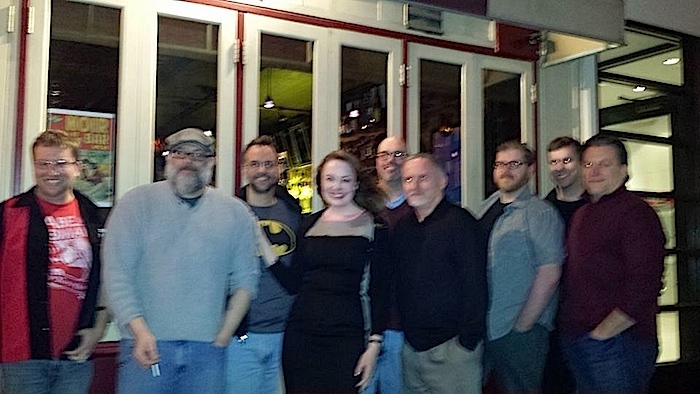 A full frontal, although missing Alex Segura, you get Terrence McCauley in all his glory, albeit a smidge blurrier. Not sure who took this shot! Me using my Bat-reading powers. Photo courtesy of Sarah Weinman. Best way to do a reading! Batman shirts rock. Congrats! Thank you! I consider wearing the cape and cowl, but thought better of it.